The panel is 47 inch x 69 inch(about 120 x 175cm). Polyester with cotton material, more healthy, soft and comfortable. Fabric is delicate, blackout 70-90%. Rod pocket and hook up Both can be used. 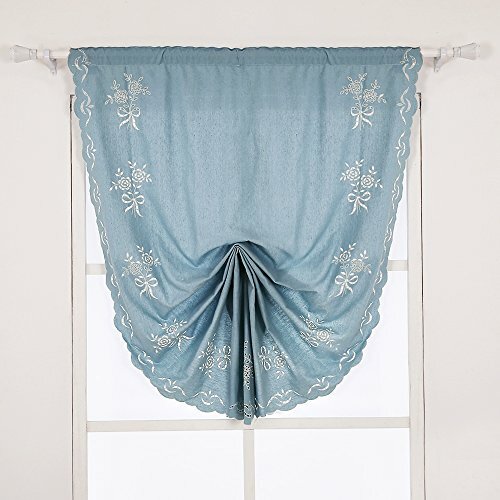 This curtain is very special design, delicate cutwork-add a touch of loveliness and charming to your room. If you have any questions about this product by ZHH, contact us by completing and submitting the form below. If you are looking for a specif part number, please include it with your message.